It was a warm summer night when a group of us decided to go out to dinner after a fabulous “Wine Down Friday” of vino & music at Muscardini Cellars in Sonoma Valley, California. We headed over to Glen Ellen Inn and decided to enjoy the beautiful weather by dining on the patio. 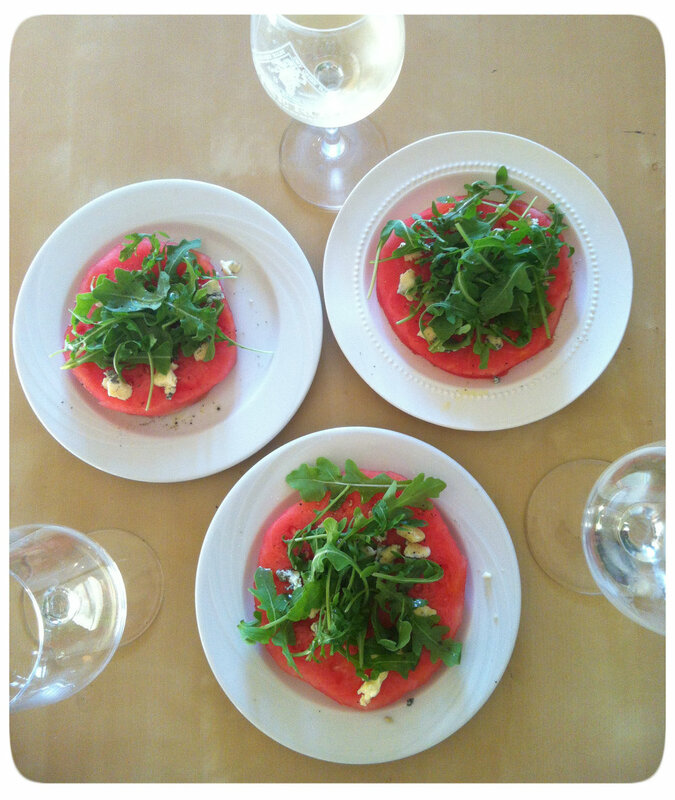 After 10 minutes of deciding which wine we were going to enjoy with dinner (2006 Gundlach Bunchu Mountain Cuvee) we ordered some appetizers to share – one of which was the inspiration to today’s post: WATERMELON SALAD. Now, I’m a big fan of watermelon salads – arugula, onions, feta. Served in a carved out empty watermelon shell and even on skewers (great for parties). But this salad was different, beautiful and SO delicious. I posted the picture from dinner on instagram and my neighbor and I were inspired to make our twist on this delicious, summer salad. Build-your-own watermelon salad is the perfect summertime treat and so easy to make. Grab the ingredients you like, place the watermelon ring on a plate and begin to build with your favorite cheese, lettuce, nuts and dressing. Season with salt and pepper and serve immediately. You can use as little or as much as you want. 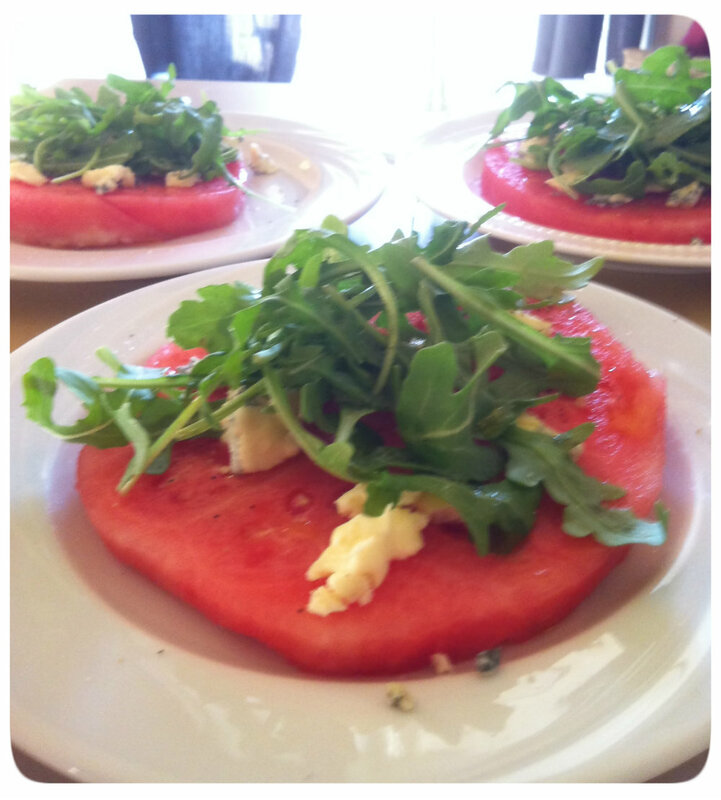 When we made the salad above, we simply used arugula, blue cheese, olive oil and sea salt.